Nike Mercurial – a cleat that is made for the most explosive players in the game. Nike Mercurial soccer cleats and indoor shoes are super lightweight and built for speed to make you faster on the pitch. Trusted by the world's best players like Cristiano Ronaldo, lacing up a pair of Nike Mercurial cleats is the first step to taking your game to the next level. These cleats are designed for wingers and strikers who demand speed and agility from their cleats or indoor shoes. 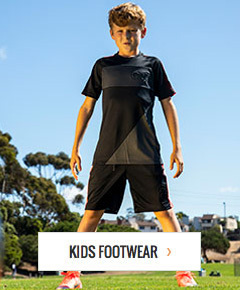 Shop from soccerloco’s huge selection of Mercurial shoes and cleats today to take your game to new levels.